In the 25 years that AVAST has existed, the goal has always been to protect people’s valuable data, residing on computers and mobile devices, from cybercrooks. Today, after all those years of experience gained from protecting nearly 200 million devices, we are proud to introduce our strongest, most effective product, the new avast! 2014. AVAST Software co-founder, Eduard Kučera, introduced free antivirus protection years ago because he believed that all computer users deserve protection from harmful threats, and that computer safety should not be a luxury only a few can afford. AVAST has never strayed from the vision of offering a high-end antivirus product for free while building a wide user base. This user base now comprises the largest crowdsourced data pool in the world. Protection starts with award-winning AVAST technology, but is amplified and improved by the feedback that our huge user base supplies. AVAST uses crowdsourced analysis called Community IQ to identify and isolate malware found in suspicious files and programs. Nearly 200 million devices worldwide automatically detect and report blacklist and whitelist applications and websites, along with tens of thousands of people who regularly provide us with vital information and feedback through the avast! user forum each day. These enormous channels of communication give AVAST a distinct advantage in terms of the technical data we are able to use. Our users quickly send information to our Virus Lab experts who immediately start tracking the scope and severity of viruses. The analysis results provide the basis for “streaming updates” that we send to our global user base. All that information sent from our Community IQ, allows the avast! Virus Lab to send streaming updates around the clock. These nearly instantaneous updates are malware detection “signatures” as well as advanced detections numbering in the hundreds per day. 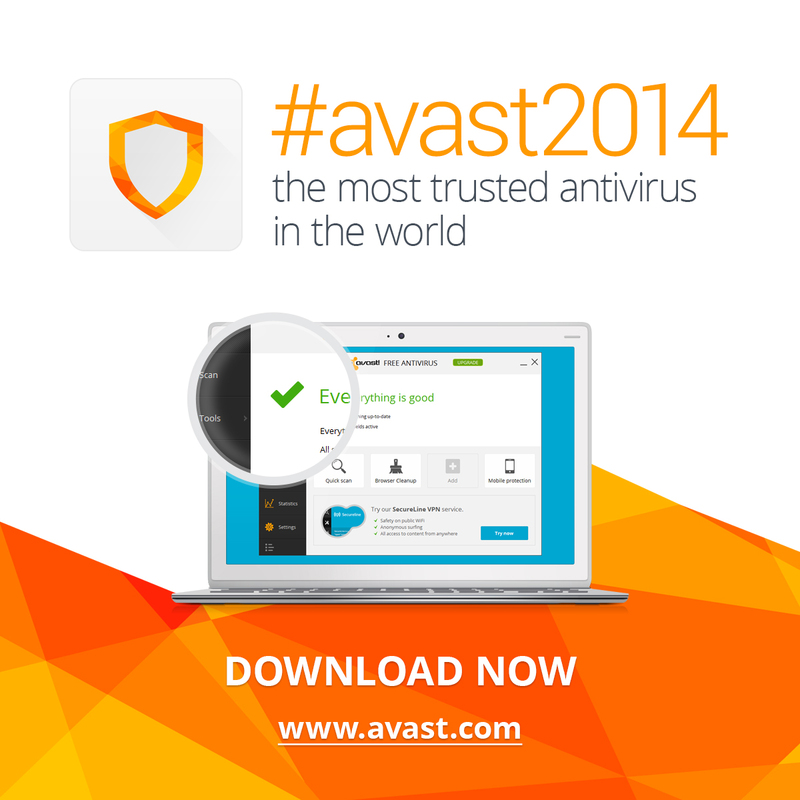 The 2014 version is available in four consumer variations – avast! Free Antivirus, avast! Pro Antivirus, avast! Internet Security, and avast! Premier – and in more than 40 languages. AVAST also provides world-class protection for businesses and mobile devices.